The San Luis Obispo Chamber of Commerce is featuring State Senator Scott Wiener as their keynote speaker for their Friday, March 22, “Housing Summit” which will begin at 12:00 noon in Grace Church. Scott Wiener is the author of Senate Bill 50. And SB 50 encourages 75-feet and 85-feet-tall luxury towers in single-family areas that are either close to transit or close to jobs and good schools. The height limit is not 45 feet and 55 feet, as Senator Scott Wiener falsely implies, because the Density Bonus Law allows up to 30 additional feet. This is essentially a real estate development bill, a sweetheart deal for developers…not an affordable housing bill. Affordable housing can be realistically created through rent control (another state-wide rent control bill is being proposed in Sacramento as we speak) and through public subsidized housing. Opponents of SB 50 have said that these incentives/concessions could have been made available to the local housing authorities instead of to the private sector development community because the housing authorities can provide 100 percent affordable housing instead of the usual 5 to 10 percent allocation, and the housing authorities are local and will work with local officials to find the most compatible sites on which to locate this housing – not in low-density residential neighborhoods. The obvious adverse impacts of tall buildings (up to 85 feet) being placed in neighborhoods comprised of one-story residences is that tall buildings will block your views and sunlight, encroach on your privacy and increase the ambient background noise. The less obvious adverse impacts, because the developers are not obligated to provide off-site improvements nor are they obligated to provide parking, will be traffic congestion, less on-street parking and increased burdens on our sewer and water capacity which we will have to pay for. Furthermore, this bill will force local jurisdictions to “rubber stamp” approval of these projects without a public hearing, without an environmental study, and without design and planning oversight. You can only imagine how ugly these projects will be. Ironically, if you are a property owner, this bill will be very good for your pocketbook even though it will have disastrous impacts on your quality of life. This bill will drive up the overall cost of land through across-the-board “up-zoning” (i.e., increasing the development potential of low-density zoned housing). This bill will have the long term effect of putting public housing authorities out of business because it will drive up the cost of land remaining to be purchased by the housing authorities. To offset the high cost of land, the vast majority of these developments will be comprised of luxury housing units. This will result in driving up rents and displacing lower-income renters. 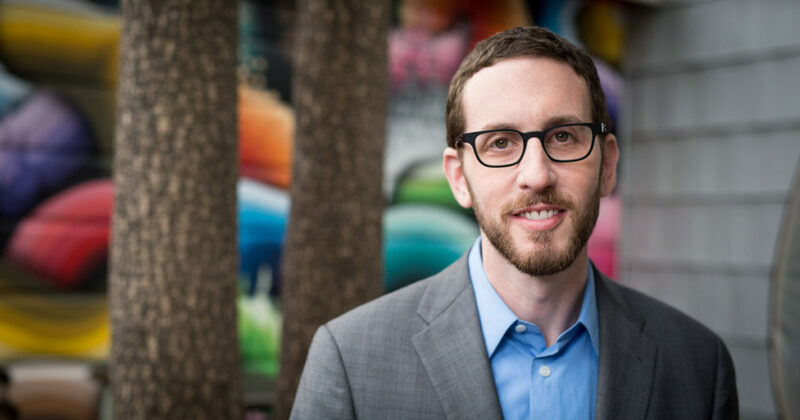 Even though Senator Scott Wiener is a self-described “progressive,” his re-election campaigns have been generously subsidized by the development community. What can we do about this? Share this information with your friends and family. Then show up on March 22, between 11:00 a.m. and 12 noon in Mitchell Park, San Luis Obispo immediately across the street from Grace Church (1350 Osos Street), to voice your opposition to Senator Wiener’s and the state’s usurpation of our rights. No need to get excited, it’s not 1/4 mile from a “bus stop”, it’s 1/4 mile from a “high quality transit corridor” defined as having service every 15 min. from 6am to 10pm and 3pm to 7pm weekdays, AND service every 20 min. from 6am to 10pm weekdays, AND service every 30 min. from 8am to 10 pm weekends. The 1/2 mile rule applies to a rail transit station or ferry terminal that is a major transit stop pursuant to subdivision (b) of Section 21155 of the Public Resources Code. This bill would be inapplicable to ALL of SLO County. Should have read service every 15 min. from 6am to 10AM and 3pm to 7pm weekdays. Obispan, what you neglected to mention is that this legislation will require a city to grant incentives to construct a residential development when that development is located within a jobs-rich area. I believe this would apply to SLO County! Simply google who this guy is and what he has promoted in the state. He is responsible for making it no longer a felony to intentionally infect someone with HIV. This guy is NOT good for our community. I have no idea what he is doing here but it must be resisted. Geeeeez! And I bet you both support and voted for ” (The) Don the Builder” for Pres’, huh?! Or did you just have a moment or two where you forgot he’s the biggest property development leachin’ thief there is? You, and those who think like you and voice any opposition you can to affordable housing and the “progressives” movement you are so frickin’ scared chitless of can speak loud and clear to government being in “bed with developers” by opposing “(The) Don the Builder” in 2020, right? Nah! You’d rather have the pervert than anyone who wants to “progress” past the BS of the Regressive Right has adopted with the current “bed” y’all are in love with and call your Pres’…. One other thing there naz’…. The one, or ones, who should be resisted is any person, or persons, who aligns themselves with the National Bolshevik Party, as your moniker so clearly exposes you as… We have enough Russian influence in our country as it is, don’t you think? I mean it looks like he has experience…in nothing. He is perfect then for government work and becoming a career politician. Somebody will most likely throw eggs at him. The guy looks like a creep. I say let’s do as Allan Cooper suggests and meet at Mitchell Park, across the street from Grace Church on Osos Street, tomorrow between 11;00-12:00, and let’s run State Senator Scott Weiner out of town with pitchforks. When these corrupt, so-called progressive politicians understand that we are not going to tolerate their criminality, they will run for the hills. I say we let Weiner know what we think of him. Or……attend the meeting. Hear what he has to say, and then offer your feedback to member of our representative government. …BTW you forgot the tar and feathers for your event. Amateur. Yes, since that has worked in the past so well. How naive are you? Nothing in the link that tells me anything just a picture, am I missing something. Any relation to Anthony Weiner? In any case he’s a Weiner and that’s another word for politicians. He should have an 80 ft structure built next to his home if that bill of his passes. Bet some builder will (donate) to his campaign…bank….wallet? Why do we let these clowns do this full time and get a salary?